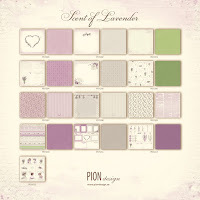 For today's card I decided to pull out the Pion Design collection "Scent of Lavender". 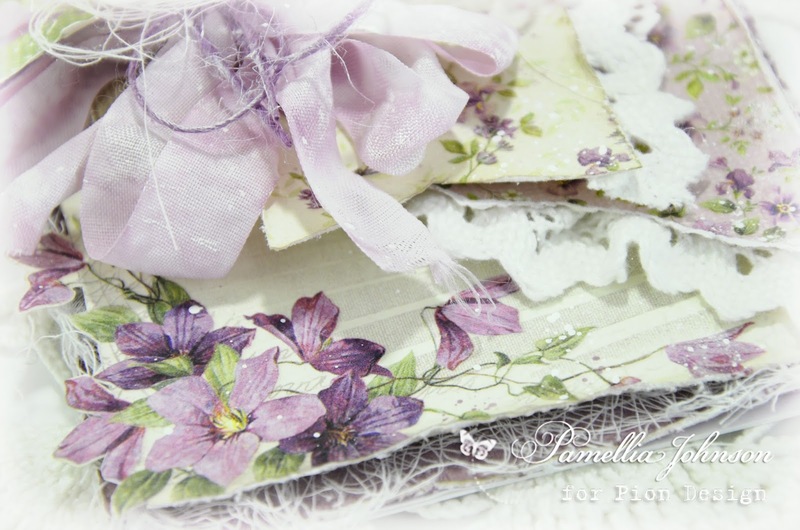 I just love the shades of purple, the fresh spring greens, and the gorgeous floral images! The leaves are Cheery Lynn, the doily is Prima, the sentiment die cut is Sizzix, the frame is hand made with a silicone mould, the flowers are Wild Orchid Crafts and everything else is from my stash. 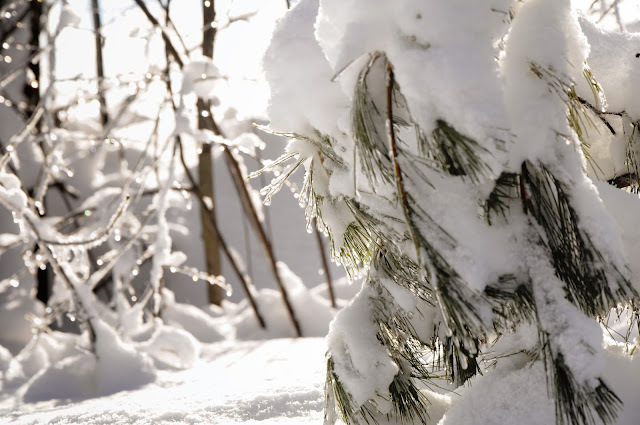 As of when I wrote this post, we still had no snow at home, but I sure am enjoying the snow up north when I go. My landscape shots are from the parents house. For my bird shots today, I have this lovely female Sparrow stealing food from the squirrel bowl!! A sweet little Red Breasted Nuthatch watching the crazy squirrel activity from the safety of the tree! "Seriously lady, you could have told me had peanuts BEFORE I ran off with this stupid health food!" "Yay me! The early bird really DOES get the worm! 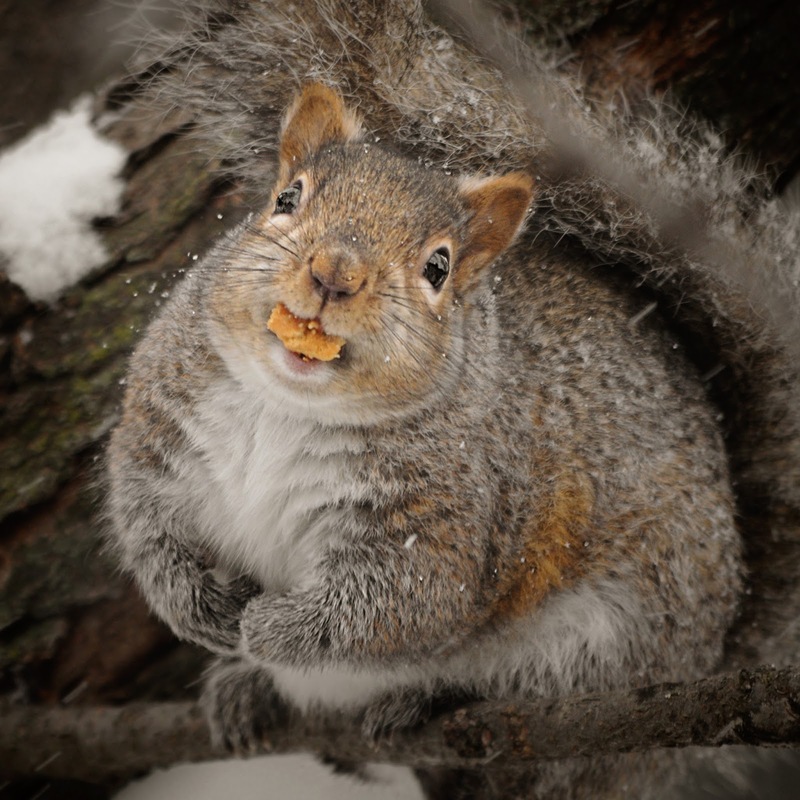 Ok, so I'm a squirrel and this is a cashew, but still, yay me!" 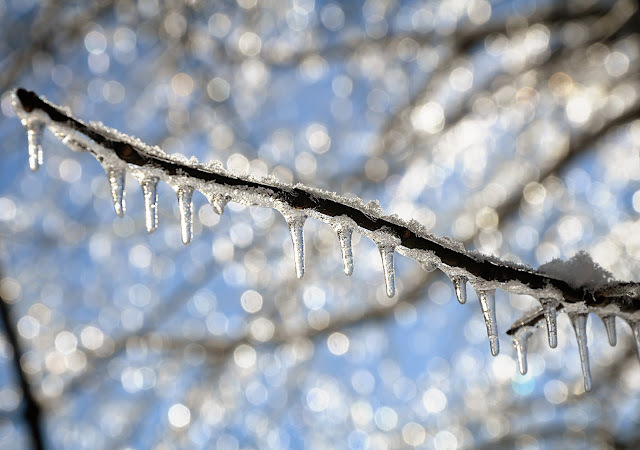 "I'm sure this seems like the perfect moment to capture with your camera, but as the one sitting in the snow, may I just say... KNOCK IT OFF!" Поредната наслада за душата!Благодаря , денят ще е прекрасен!!! This card is definitely one of your best for me and I can smell the lavender from here. Wonderful layers and so many beautiful things to match the card perfectly. Oh, oh, oh, a lavender delight! The papers are beautiful but you always take them to another level when you make one of your glorious cards. I want to reach out and touch this one, it is an absolute stunner. Love the little bird with the flowers! 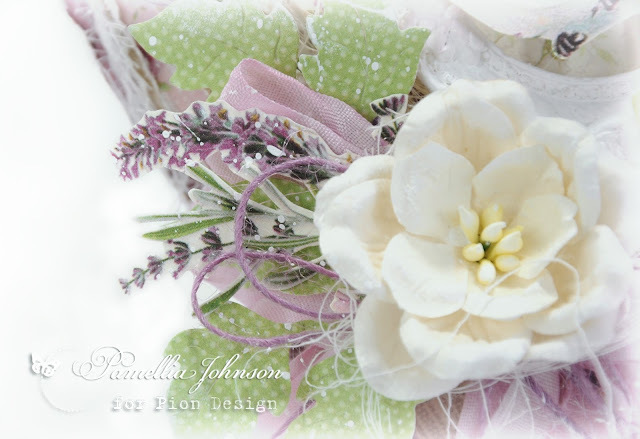 Beautiful card and such wonderful blends of lavender together with your exquisite details... 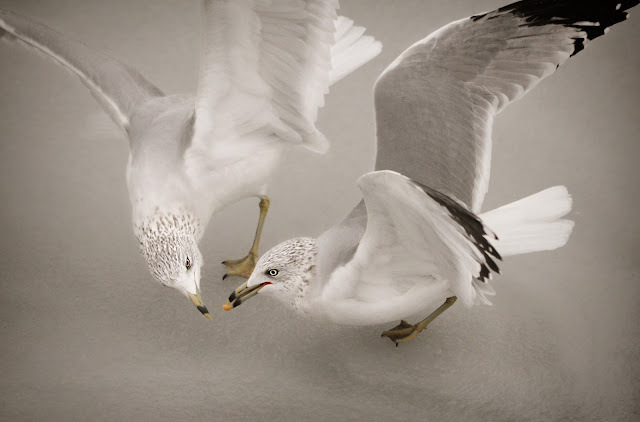 Terrific photos and I'm in awe of your photographic ability... Your subjects are so beautiful too! your card as usual is so stunning and superbly crafted. I love the lavender theme to it to as it's such a very super colour and design. As usual you have used some wonderful emebellishements. Your phots are also very superb and wonderfully shot as usual. I just love your comments at the bottom of each one. Beautiful colours so gentle to the eye. oh my pamellia your layering is going higher looks wonderful. Fab pics of all your furry friends. 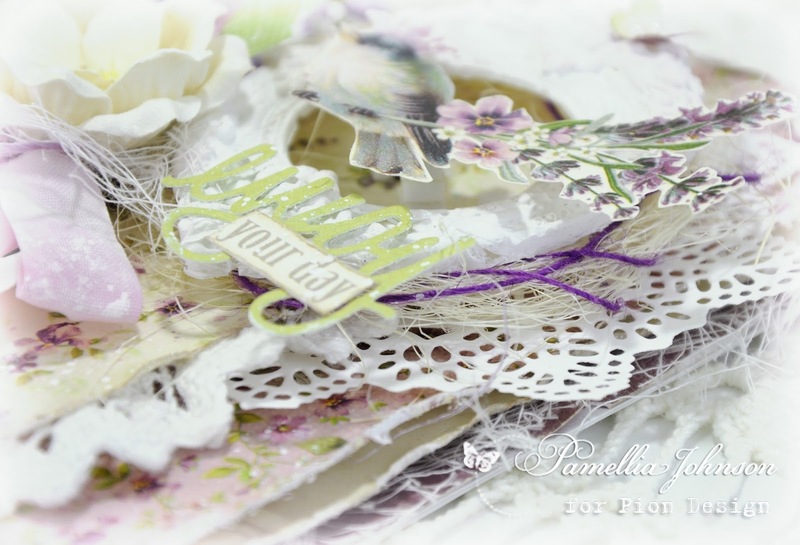 Love the colours and shades on this gorgeous card Pamellia. 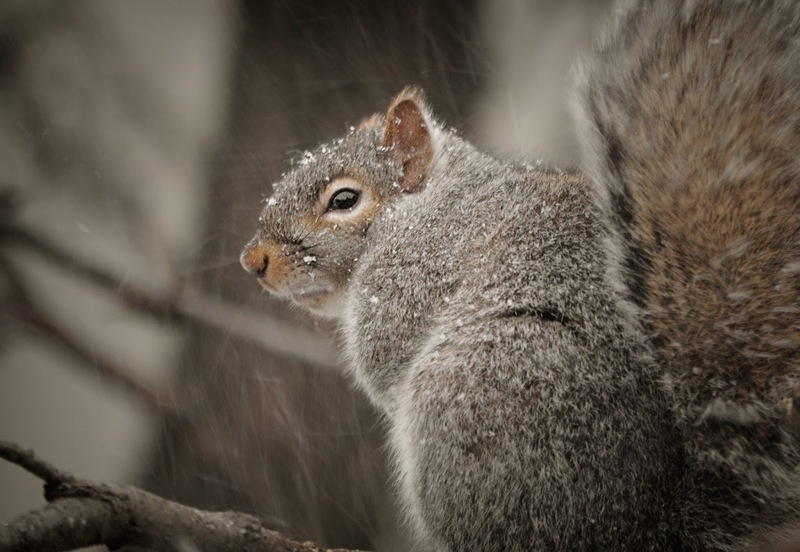 As always, fantastic photos of the snow and the animals. Gorgeous card as always! I am always impressed with your cutouts. It really takes patience and skill and you truly have abundance of both. Gorgeous soft feminine colours, love the patterns on the papers the delicate frame and sprigs of lavender and the little bird in the frame...so beautiful Pamellia..
Oh, Pamellia, I love this gorgeous card! The pretty colors and beautiful flowers are just what I needed to brighten the day! And your critter photos are so amazing. I was just showing them to my mother this morning. Only a few flurries here. Have a wonderful day! A beautiful card with a lovely air of spring to it, gorgeous papers and colours, perfectly designed and embellished as always! Such a contrast to your amazing snowy photos, from spring back to winter!!! 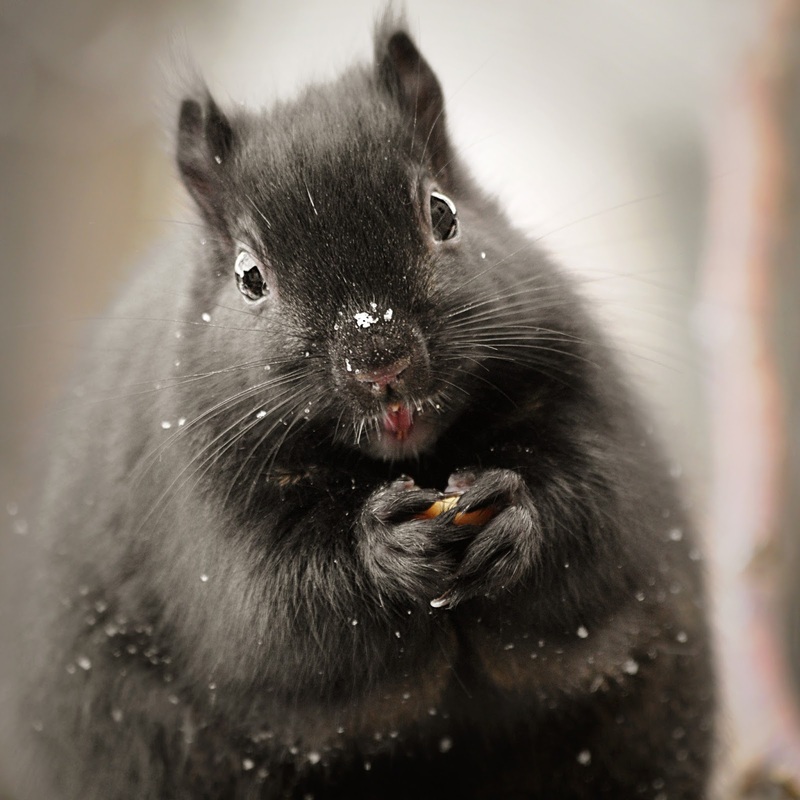 Bet those squirrels will be happy when the weather warms up! Great layering full of lovely details and this bird is so cuteeeee!!! Amazing handmade frame and love the papers! The dotted leaves add a lot of interest to the whole composition! Hugs my friend, here today there was a beautiful sun. Spring is really coming? Oh my word, this is stunning, Pamellia!! It's like springtime on a card!! I just love the beautiful lavender with the touches of green!! 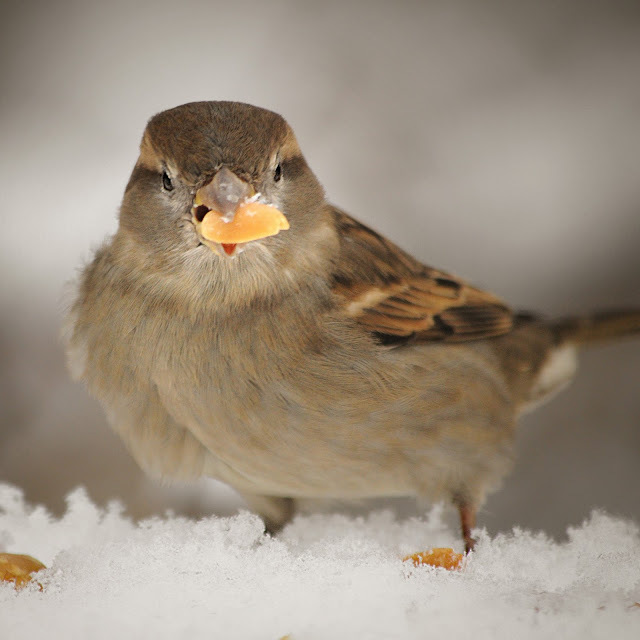 The bird is so sweet!! The crown is a perfect touch!! Every single detail is spectacular, especially the layers!! I just absolutely love, love this my friend!! It makes me happy to look at!! and your photos are so pretty! OMW this is a stunning creation Pamellia, love this paper design and gorgeous colours, how beautiful are your Lavender sprig embellishments with your gorgeous flowers. Amazing photo shots! 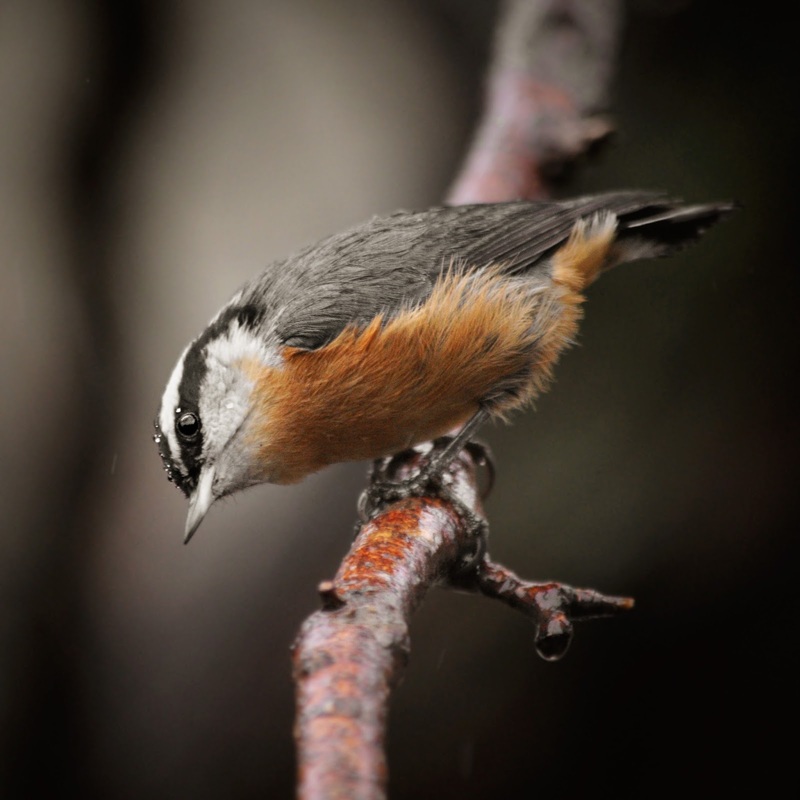 The photo of the Red Breasted Nuthatch is breathtaking. 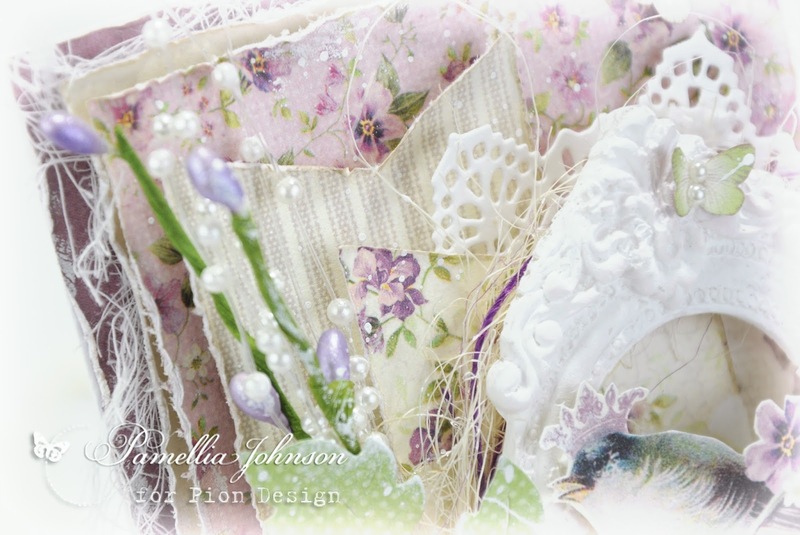 My dear friend, this card is quintessential Pamellia... layers upon layers of everything soft and beautiful! You know my love for this paper collection, so my heart pirouetted upon seeing this beauty awaiting me. 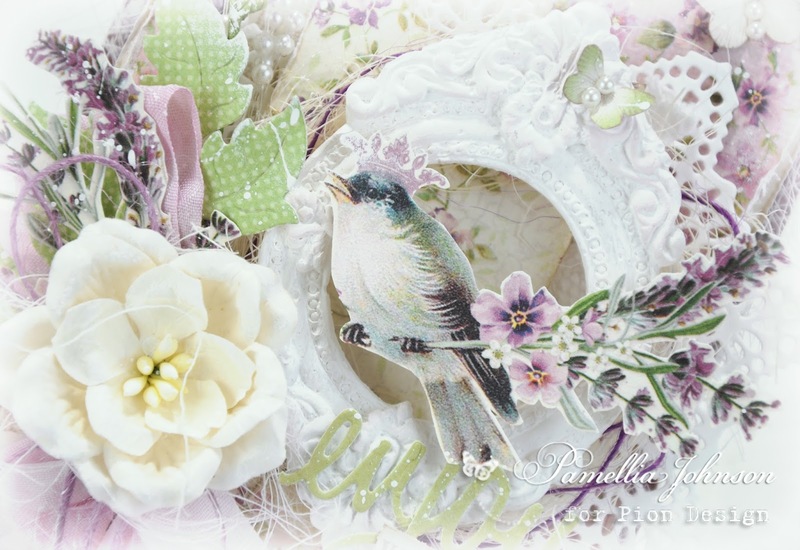 The floral cluster is brilliant and I absolutely love the regal frame you created for the precious birdie. The texture throughout your masterpiece simply takes my breath away. Beautifully done, Pamellia! I love all of your pictures, per usual! You have such a gift and I couldn't be more grateful that you share it with us. Nature and animals make my heart sing.. and you capture them in the loveliest way. Thank you for the sweet inspiration, my dear friend! Oh, I simply adore this card Pamellia. The colours are just gorgeous .. love the lavender and green. Your cards always take my breath away. Love the fussy cut images and the little resin frame .. simply delightful!! Fabulous card here again Pamellia, the fussycut flowers make for such pretty embellishments. And of course the photos are amazing again! Totally gorgeous Pamellia, I love those papers, your layers are wonderful and the little bird sitting there is just lovely. Love those fabulous photographs too. This is absolutely gorgeous Pamellia, such a sweet little bird and pretty colours. 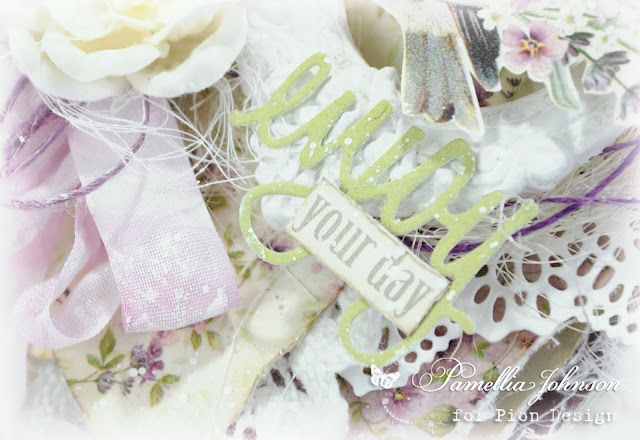 Your layers and embellishments are perfect as always - a beautifully designed card. One of my most favourite combination of colours and OH! how beautifully you have put them together, the details you manage to put into your cards are a joy to behold. Your cutting out is a major success, it must take you AGES to get such fine detail. What a beautiful creation Pamellia - the layers and colours are amazing. Zowie Pamellia this card is FABULOUS!! My favorite color combo and the beautiful layers. lace and flowers are amazing! I love the little bird tucked in too! Gosh who wouldnt be thrilled to receive such a GORGEOUS card!! You critters shots never cease to amaze me Pamellia! You have such a wonderful connection with them they obviously trust you :) Always exciting to see your post!! 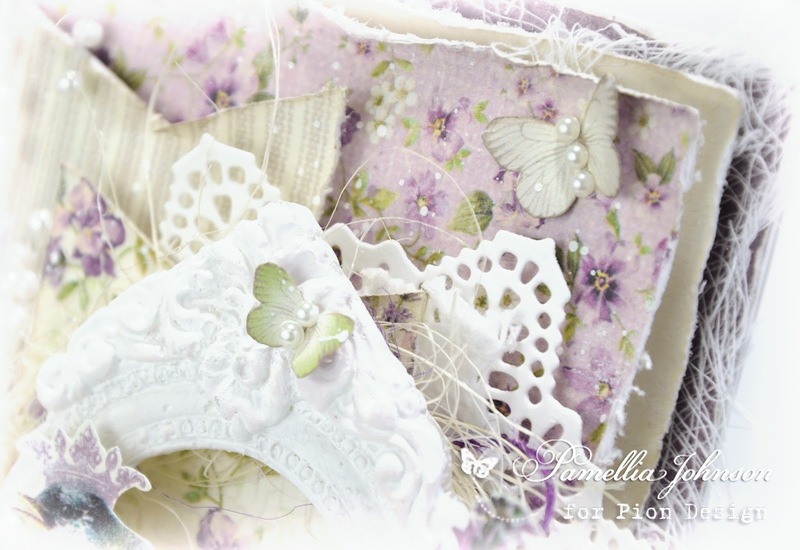 Stunning card, Pamellia - those lavender sprigs are just delightful within all the gorgeous layers. It's a real beauty. 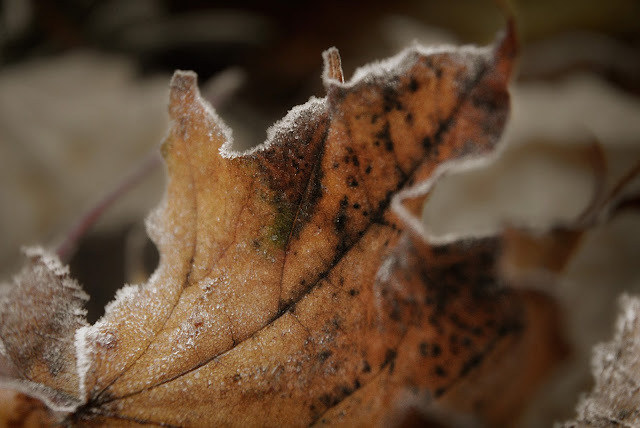 And the shots of the birds and squirrels are, as always, incredible - but it may just be that leaf at the end which wins out for me this time - a beautiful study. Oh my, my heart is singing every time I visit your beautiful blog, Pamellia! What a fabulous card with stunningly beautiful colors, layers and elements! 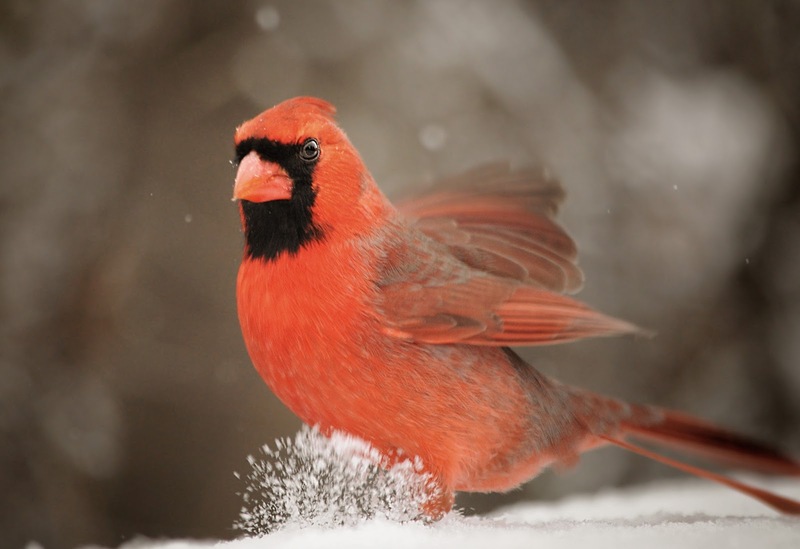 The composition is spectacular and that little frame with the bird is simply an amazing detail! Oh, what a wonderful card - love the lavender and all the gorgeous layers! That little bird is so sweet and beautifully framed. So enjoyed all your photos, as well. What a treat! Stunning card Pamellia, it looks more like a bouquet than a card. Fabulous colours and all of the lavender stems look amazing. I love all of the layers and your beautiful embellishments. Terrific work my friend. Great wildlife shots, I never tire of seeing them. You have an incredible eye. I was going through some saved e-mails today, cleaning out, when I came across this one. Sure enough, I hadn't seen it! This was like finding treasure, and was just the happy boost I needed today! Love your lavender card and all this wonderful wildlife! Sending hugs!